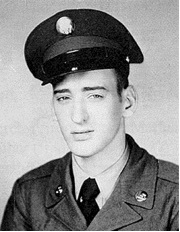 William Amberger was still a student at Amsterdam, New York’s Wilbur Lynch High School when he decided to enlist in the US Army in November of 1949. At that time it was becoming alarmingly clear that a war was brewing in the Asian nation of Korea. That country had been run by Japan from 1910 until the very end of World War II. Once the war in Europe had been decided, the US wanted the Soviet Union to declare war on Japan. One of the concessions made to get Josef Stalin to do so was permitting the Soviet Army to occupy the northern portion of Korea. The US Army ended up occupying the southern portion. You can read the rest of my story about this Amsterdam hero in my new book “A Year’s Worth of Amsterdam Birthdays.” To order your copy, click here.